The Zimlet can restore instant messaging feature in Zimbra 8 and 8.5. starxpert_jappixtab interface a server hosting the Jappix software with Zimbra. 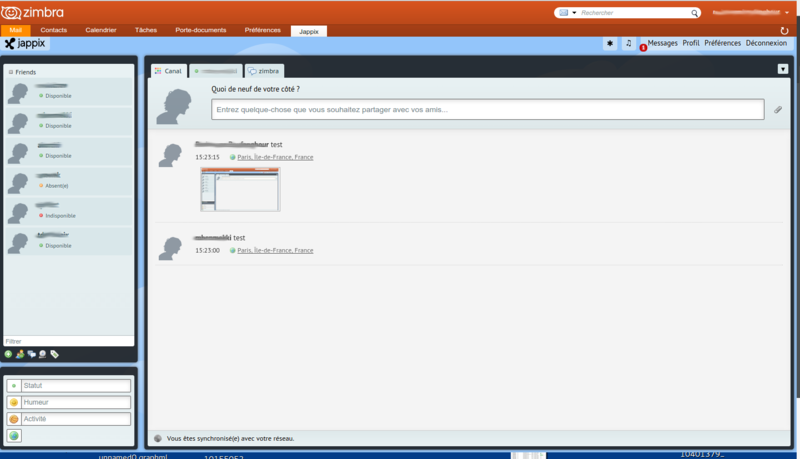 Jappix appears as an additional tab in Zimbra. With the Zimlet the directory Jappix is synchronized with Zimbra. The user creates his contacts from GAL. Looks like it would be awesome but it crashes on 8... will retry when if an update is realeased.